Amazing Race Bangkok - 1/2 Day to 1 Day - N The Mentor Group International Ltd.
Teamwork is one of those words you hear a lot but it’s true that most people only have a vague concept of what it means (just try asking 3 or 4 people around you for a definition and you’ll see what we mean). In general, it’s used to mean a group of people working well together. At the heart of the idea of “teamwork” is the concept that teams – big and small – can work effectively and efficiently. This may seem simple, but when you consider the fact that teams are made up of diverse people, with different working styles, personalities and individual dynamics, it’s often a wonder that we get anything done in a group at all! Over 10 years The Mentor Group International has developed its team Building programs that pinpoints the ways in which teams can become most effective. Many team-based activities focus on one aspect of team bonding – for example, building trust within a group. 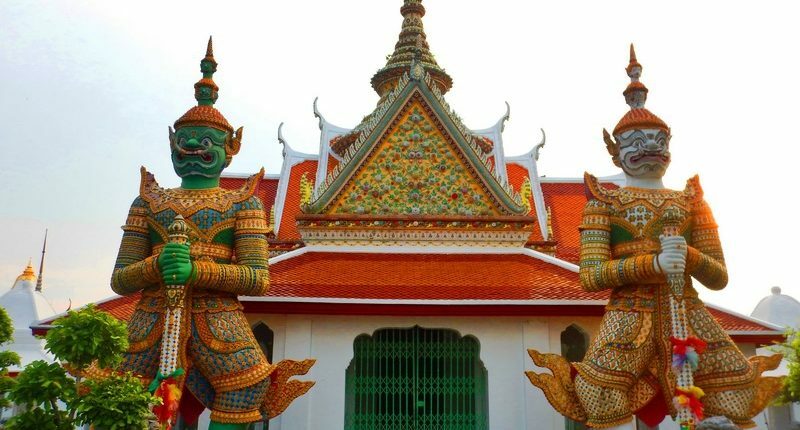 The popularity of the AMAZING RACE reality TV genre cannot be denied, and it’s fun to see an iconic Bangkok location and its surrounds via one of our Amazing Team Races Team Building program. ​ These can be tailored to incorporate not only key locations and attractions, but also a wide range of sophisticated team challenge tasks and / or key learning components as required. Venue: Outdoors in Bangkok City. Key Themes: Teamwork, leadership, team roles, bigger picture thinking, breaking the ice, communication, time management, collaboration, competition, entertainment. The Amazing Race is an exciting fast paced, adrenaline rush , event that will require teams to work together to overcome roadblocks and obstacles as they race around the city. Teams will need to out-smart and out-race their fellow competition across a predetermined route that will see them stopping at numerous checkpoints with the ultimate goal of getting to the finish line in the quickest net time and lowest deducted points. Whilst the race is a timed event, it’s not as simple as crossing the finish line first. Each checkpoint will require teams to complete a team challenge and depending upon their success they may be rewarded with time credits which will be deducted from their end finish time to give them an overall net time. This means that although you may cross the line first, another team may ultimately win the race. 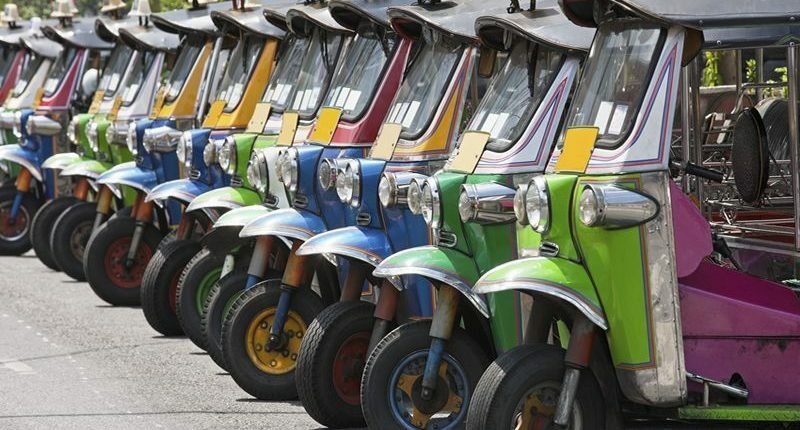 In addition to visit Bangkok’s iconic sights, the participants will also experience different modes of exciting transportation like Tuk-Tuks, BTS, Taxi-Boat, Ferry across the Chao Phraya etc., all this while learning a bit of the Thai language. The amazing race offers you so much flexibility in that it can start and finish in any location and all activities are varied and provide a good mix of problem solving type activities and fun recreational style challenges to ensure maximum participation and engagement. The Amazing Race, is designed to encourage all aspects of building an effective team, from relationships and common goals to cohesion and trust. Interestingly, winning teams can be built as needed (rather than just simply occurring naturally). They do, however, take some effort, commitment and time. Fun should never be underestimated as a great motivator and a mechanism for building real relationships between team members. The Amazing Race is held in spectacular surroundings, with fast-paced, exciting and genuinely interesting challenges that are designed so that everyone can participate. The individual tasks encourage a light-hearted sense of competition, and the focus is on everyone having a laugh (and having a go). We’ve all been a part of frustrating teams where the goals seem changeable and some people seem to have different goals entirely. Working effectively as a team means, first and foremost, knowing and understanding a set goal. Learning how to best meet that goal will require different strengths and skills within the group. The Amazing Race provides a number of different set goals in the form of physical and mental challenges, encouraging all members of the team to add value at different points in the Race. The best laid plans often turn into a mess without the proper leadership or management. The challenges in the Amazing Race encourage goals being completed with the most efficient use of the team’s time. Become distracted or lose focus and you’ll most likely not complete the challenge at all (just like in real life). Fulfilling the Amazing Race challenges effectively as a team rewards member with great kudos, so much so that many participants are still talking about it with their work colleague’s months after the event. Contact us on 089 968 7060 for Thai and 099 339 3136 for English to find out how the Formula For Building A Winning Team can help your organization today.